Impact of Apple Swoon. 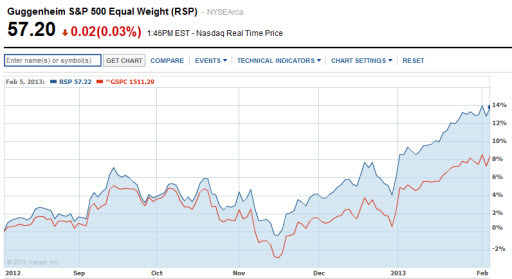 It’s not all due to Apple, but this comparison of an equally-weighted S&P 500 (RSP) vs. cap-weighted S&P 500 (SPY) shows a pretty significant drift over the last few months. This provides some reinforcement for our argument for a Value Line 1700 proxy using equally-weighted components.